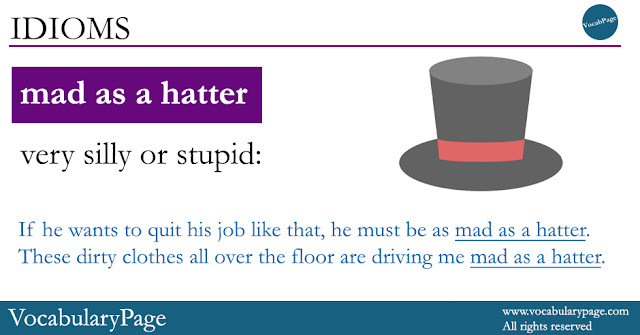 In this post, we're going to learn the idiom mad as a hatter. If he wants to quit his job like that, he must be as mad as a hatter. These dirty clothes all over the floor are driving me mad as a hatter.